1.) The returns are consistent. You will always get the same high return from your investment no matter what the housing or the stock market’s status is. The interest rate does not rely on the market so it will not go up nor down unlike other businesses. 2.) The initial investment is low. You don’t have to have hundreds of thousands of dollars to start investing; you can very well purchase tax liens below a thousand. 3.) There is no liability. When you buy a tax lien, you are not buying the property and you are not liable for it. You also don’t need to have property insurance. 4.) There are no brokerage fees. You don’t need to have a broker to buy tax liens. There may be costs for lien recording with the county clerk but this will be paid back when the tax lien is redeemed. 5.) The interest rates are higher. Compared to other safe investments, you are guaranteed that rates from tax liens are higher. 6.) Investment is tax free. If you invest through a self-directed IRA, you can very well avoid paying taxes legally. If you make use of a self-directed Roth IRA, all your profits will be tax-free. 7.) You have first position. In most states, tax liens take the first position other liens. 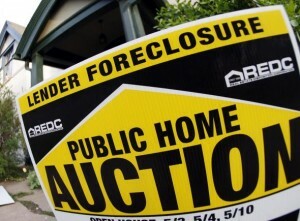 Meaning, if the lien will not be redeemed and it will go to foreclosure, you will be the first one to get paid. To get a more detailed list, it is recommended to purchase from a tax sale list provider. 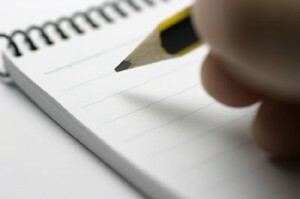 From them, the list is more helpful and thorough. Are You Ready To Start Investing in Tax Liens? By dhinternational / January 27, 2011 / Comments Off on Are You Ready To Start Investing in Tax Liens? Before you start investing in tax lien certificates, you have to realize the two most important factors needed to begin: time and money. First, let’s talk about time. Most states have their tax lien sales at business hours on weekdays. It is important that you are able to attend to the tax lien sales in order to bid at the properties you are interested in. Though there may be states that have online bidding, it is still more advantageous to attend to actual sales. Do you think you can make some time for that? Another thing that you might want to consider is that you have to have some time to do due diligence on the properties. You see, the property list is not very detailed as it usually just contains the tax ID number, amount owed, and the record owner. Sometimes, it doesn’t even provide the property’s location. Because of this, you have to search for the address and assessment information and then find some time to view the property physically. Check if the property if it is worth more than the amount that is owed. Remember, you may have to pay its taxes throughout the redemption period before you can have it foreclosed or apply for its deed if in case it won’t be redeemed. Now, let’s move on to the second factor: just how much money do you need in order to start investing tax liens? While it may be true that you can buy a tax lien certificate below $200, you have to know that you are still responsible for paying its taxes until the lien is redeemed, otherwise, the property will show up for next year’s tax lien sale and another investor could very well buy that lien. 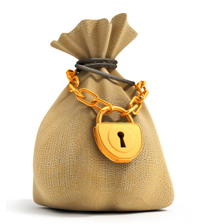 It is well recommended that you have around $2000 before you can say that you are ready to start in tax lien investing. You also need to have some to be able to join in tax lien sale auctions and do some due diligence. Remember, the more time and money you can invest, the returns will be bigger as well. What happens in most tax deed sales? 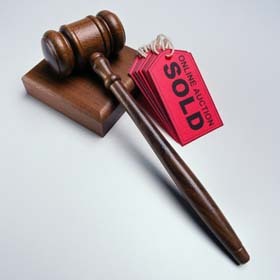 Usually, the auctioneer reads off the list of properties that are to be bid up the bidders. But for counties that hold online tax deed sales, the bidder must register online and then place a deposit first before he is allowed to bid. Properties are commonly listed by batches and there is a specific time to be given for each of these batches. 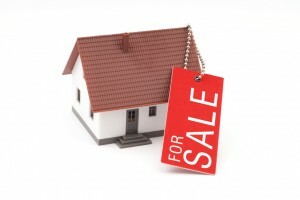 You bid on the properties you are interested in and you’ll only know if you are the successful bidder after the sale. Now tax lien sales differ for each states. States such as Arizona, Florida, and Illinois, have their interest rate bid down. In some, the tax lien is bid up while the interest rate is constant. A “premium” is the amount that is bid up from the due amount. It is also called an overbid. Some states such as Indiana and Alabama provide you interest on the premium that is paid for the tax liens while states like West Virginia does not. Now for Colorado and Vermont, you do not need to pay interest on the premium and you also get to keep the premium even if the tax lien will be redeemed. It is only in New Jersey where you can bid down the interest rate to zero. You will not get an interest on the premium, however, you will get the premium back if the tax lien will be redeemed within five years. There are states that you are to bid down on the percent ownership interest of the property if the tax lien would be foreclosed. The bidder who accepts the lowest percent ownership interest on the property will be awarded the tax lien certificate. Nebraska, Iowa, Rhode Island, and Louisiana use this procedure. In awarding tax lien certificates, there are states that follow either random selection or the round robin process. In random selection, the auctioneer selects the bidders in random as he reads out at the sale. With round robin process, the auctioneer will have to go around the room to offer the next property on the list to the next bidder. With these processes, it is hard to do due diligence on the properties and you can only either accept or decline the properties that are being offered to you. So you are about to join in your first tax lien sale auction and of course, it would be great if you’re well-prepared. 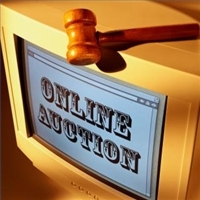 So here are useful tips for bidding at tax sale auctions. 1.) Register as early as possible. You certainly don’t want to be at the far end of the room at big auctions as the tax collector may have a hard time seeing or hearing you. There are also auctions wherein the seating is based on the bidder’s number so it will be advantageous to register early. 2.) Turn your cell phone off before the auction starts. You have to be fully focused on what’s happening during the auction as everything happens fast. It is also advisable to minimize talking to anyone while the sale is going on so as not to be distracted. 3.) Know how much you are willing to pay and how low you can go with the interest rate for a property. Have them written on each of the property on the tax sale list so as to keep track of everything. To avoid overspending, always keep a running total of amount for your bids. Remember, if you are not able to pay for the tax lien certificates that you have successfully bid on to because you have overbid, there are chances that you will be barred from joining any tax auctions in that county. To keep a total, bring a calculator. And don’t forget to add in the extra fees such as auctioneer’s fees, realty transfer fees, recording fees, etc. 4.) Bring a pen and a highlighter with you on the tax lien auction. Highlight the properties that you are interested in bidding and cross out the properties that have been already paid prior to the sale. 5.) Get the final list of properties and check all the changes that were made before the sale. 1. Have your tax lien or tax deed recorded in the county because it may prove to be worthless if the county records don’t have it listed. This task is done for you in many states but just make sure to have it listed right away. You may have to wait for the tax certificate and when you do get a hold of it, you will then need to send the original document that comes with a recording fee to the county records office. The fee may differ from each county or state. To know the exact fee on how much you have to send, call the county clerk or recorder. There’s a possibility that the documents will be returned to you if you don’t send the right payment. 2. Make a copy of the tax deed or tax lien certificate before you have it recorded. 3. Send the tax certificate with a return receipt through certified mail. By doing this, you will have proof of sending the document if in case it gets lost and you can just have it replaced. Take note that the recording process may take some time and if anything goes wrong with the sending or receiving process, you still have another certificate copy. 4. Place the document in a secured place once you receive it from the county records. You will have to present the signed document to be able to receive redemption from the tax certificate. 5. Make sure that the redemption amount is exactly the same amount that is due before signing and handing it over to the tax collector. 6. To have all your recording fees, tax payments, and other extra expenses accounted for, provide affidavit for all these payments to the tax collector. There are several counties in the country wherein they have two tax sales – the judicial sale and the upset sale. If the property is not sold, it will then be moved to a repository list where it may be sold to a private bid. Since the minimum bid for the property is an upset price that includes unpaid taxes and municipal liens, it is called an upset sale. Now if the property is still not sold in this sale, it will be then sold during a judicial sale. Now in an upset sale, all the properties will be sold to any judgments or liens. You will be responsible for all unpaid tax liens on the property once you purchase a tax deed during this sale. Take note of that! To find more about other tax liens, you can opt to hire a company to do a title search for you for the properties you plan to bid on. This may cost more than other methods. Another way is to do a research on your own. It may take more time but you’ll soon realize it will be worth it. What is the difference between a tax lien and a tax deed? Read on to find out. First, tax liens are placed on properties by the government when the property owner neglects to pay his property taxes. The county or municipality then has these tax liens auctioned to investors. The investor whose bid is successful gets the tax lien on the property. The property owner then has to pay off the delinquent taxes on a specific time frame including the interest and penalties which will all then be paid to the investor. 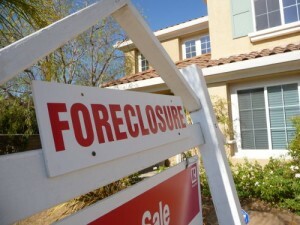 Now if the owner still neglects to pay the taxes with interest, the investor is able to have the property foreclosed. But then, this only gets to happen about 2% of the time. To know how much you are getting as an investor, research about the interest rate of tax lien states and you’ll know. Next, tax deeds are different from tax liens. 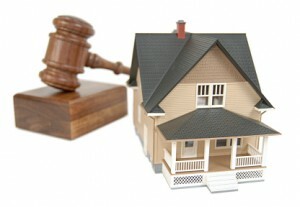 When you bid in for a tax deed at an auction, know that you are bidding for property ownership. So if you do win at the auction, you will become owner of the said property. With this, you have to do longer due diligence as you would certainly not want to regret about the property you end up owning. Though tax deeds are far more challenging than tax liens, just remember that the returns are great. So research and learn and you’re sure on your way to discovering the secrets to real estate. A lot of investors from other parts of the country and even from all over the world cannot attend tax lien sales so how can they invest? Well, it’s not a big problem anymore as online tax sale auctions DO exist. It does sound great especially because you can just join in the bidding at the comfort of your own home. But just remember though, not all states are tax lien states and not all tax lien states have online auctions. So it is always best to research first. 1. 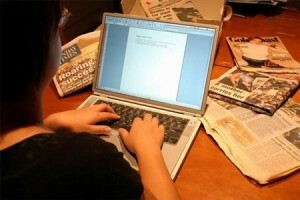 Research which counties conduct online tax lien auctions. In Florida, almost all of its counties conduct online lien sales while many of Colorado and Arizona’s counties are starting to join in as well. 2. Once you know which counties hold online lien sales, visit its website and read all details of the tax sale. Understand the registration procedure, bidding process, and realize your expectations on paying for successful bids. Also know the details on depositing money to register prior to the sale. 3. Learn what information you can get from the tax lien sale website. Are all the information regarding the liened properties available for download? Do you have to look at each of the property to find details on assessment? Can you get access to pictures and maps of the properties? 4. As soon as the lien auction is open for registration, sign up. This way, you will have more time to do research on the properties and do some deposits if it is required. 5. Don’t start due diligence on the list of properties too early. There are cases wherein your time and effort will be wasted when you have done your due diligence too early only to find out that some of the properties have already been removed because the properties have been paid off by their owners days before the auction. Be updated. 6. Bid in before the tax lien sale ends. 7. Since bids that are submitted cannot be withdrawn, you have to make sure that you are bidding on the correct one. You also have to pay for your successful bids by the deadline or you can lose the liens and may even be barred from upcoming tax sales. So always make sure you have the cash. When purchasing tax deeds, you would want to make profit by having the property sold or rented. But it’s not the case for tax liens, there are three ways that you can make profit from these certificates. What are they? Read on to find out. First, you get money when the lien reaches its redemption period. When the owner of the property redeems the lien, you will be paid the amount of the lien plus the interest and penalties. Many states have the interest rate as the annual rate so the longer you hold the tax lien, the more money you will receive during redemption. Let’s move on to the second method. When the redemption period is finished and the tax lien has not been redeemed, you can then begin foreclosure on the property so you will be paid. The process may be simple or it can be complicated, depending on the state. There are states wherein you would have to go through the process with a lawyer which you will have to spend much cash and may take time. Now, there are also states wherein it’s easier since you just need to do petition at the county court or do the application process in getting the property’s deed. But if the property needs to go through foreclosure sale, there are chances wherein you may not be able to get the property since it will go to the highest bidder at the sale but you will still be paid for the lien. The third process involves assigning the tax lien to another investor. There are states that allow assignment or tax lien certificate sale to another investor. With this, you don’t have to go through foreclosure process. Though you may not end up with the property with this method, you will still be able to collect profit sooner.